The Rök Stone (Ög 136) viewed from the side. The rune stone – covered with nearly 750 runes – was raised in the 9th century AD by Varin in memory of his dead son Vämod. 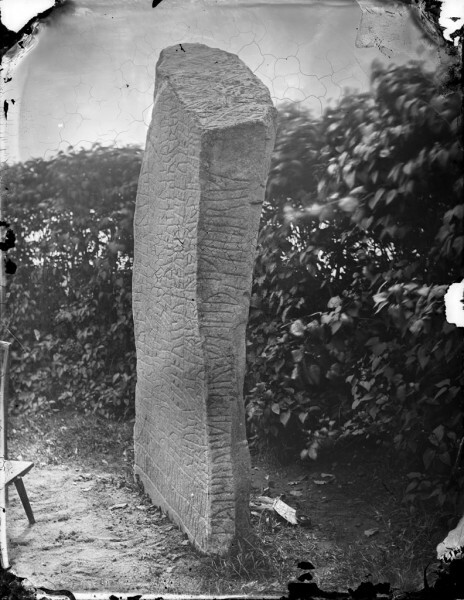 The Rök Stone is also one of several Historical Sites in trust of the Swedish National Heritage Board.